Waterfall of deep blues and purples incorporating a sweep of white handmade paper cascading in relief. 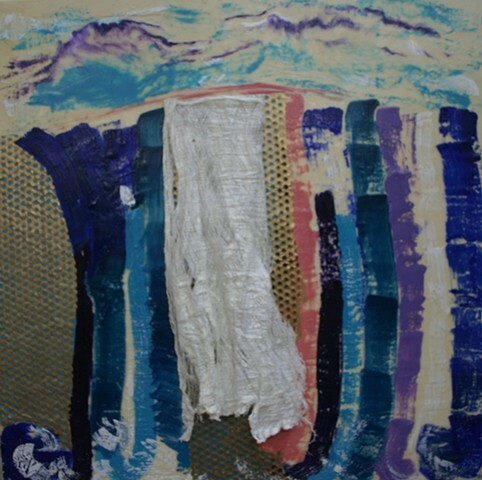 Gold paper showing the turquoise encaustic beneath forms the rocks at left as well as beneath the white cascade. A fauvist sky of abstract mountains are suggested above.